PDXpert product data management software allows you to easily establish relationships between your parts and the documents that define them. 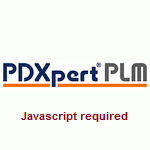 Although PDXpert PLM software lets you create part numbers in sync with your document numbers, we'll explain how to simplify your engineering change process with (a) independently-assigned document and part numbers, and (b) explicitly-defined relationships between a part and its defining document. 404. Part or identifying number. The Part or Identifying Number (PIN) shall consist of letters, numbers or combinations of letters and numbers.... The PIN shall be or shall include the design activity drawing number, and may include a suffix identifier (if applicable). The Part or Identifying Number (PIN) is an identification assigned ... for the purpose of uniquely identifying a specific item. A PIN is the same as, or is based on, the controlling drawing number. It may have once been "standard practice" but it's no longer especially useful. A document number defines one or more parts. If multiple parts were defined, such as O-rings with varying diameters, the document provided the "base" or "root" number (e.g., 13579), and each part had a related "dash" number (13579-01, 13579-02, etc.). Problems occur if, say, you needed more part variations than permitted by the dash number. Allowing 103 different O-rings means you'd need a 3-digit suffix, with the vast majority of your drawings carrying unused characters. Added confusion is introduced if there's any significance attached to the suffix ("-103" is the 103rd O-ring, or a 10KΩ resistor, or a 10 nF capacitor...or maybe not). A part is defined by one or more documents, each of which defines one aspect of the part. For example, circuit board assembly 97531 has a schematic (97531-01), board artwork (97531-02), silkscreen (97531-03), and an assembly drawing for each different "pick & place" machine (97531-04...97531-06). Alternatively, all the documents could have the same document number, but are of unique document types (schematic, artwork, silkscreen, assembly). But here the problem is restrictions on re-use, such as when you want schematic 97531-01 to describe assembly 97544. Our principal identification goal is to assign permanent "handles" to information throughout the items' lifecycles. However, documents have different life cycles from the parts they describe. One part may require multiple documents (requirement, fabrication, finishing, calibration/adjustment, inspection, etc.) that all can't have the same number. A document may describe more than one part, such as showing mating parts, or part families. For example, a series of machine screws with varying length could be specified on one drawing. Each variation would be assigned its own part number, yet all would reference the single drawing. Part numbers change more frequently than document numbers. A revised document may force a new part number because of interchangeability rules. Re-issuing the document under the new part number requires additional effort, especially if the document is widely used or other documents refer to it. Documents may be re-issued under a new number to replace a lost or damaged document, or where the drawing creates an interchangeable part by different methods. It's better not to move inventory or re-label parts to support new but equivalent documentation. The part record may be revised without affecting the document. For example, a part may be revised to add a new supplier source or to make an interchangeable change to the BOM. These changes may not affect the drawing content, so revisions would diverge. Revisions to drawings may have no effect on the part technical content. For example, a drawing may be revised to fix a clerical error; call out additional details that don't affect existing parts; add new parts to the document; or modifies a mating part in a set. It's a fair bit of extra work to change the document number simply to shadow the part number, and vice versa. Using a computer, it's simple to tie part 123456 Rev 2 to drawing 76543 Rev 4, and let them change according to their own lifecycles. without any significance or value attached to any of the characters, and unrelated to a part number. Nowadays, best practice in identifying both parts and documents is to use short numeric sequential identifiers. As Michael Grieves advocates in Product Lifecycle Management (page 166), "... the part number has no meaning itself but simply acts as a pointer to the always accessible product information". Similarly, the clear trend, based principally upon computerization, has always been away from establishing any identity relationship between parts and their supporting documents. This is a change from older practice, especially popular in defense contracting, of tying the part number to the defining document number. If your document numbers are independent of the parts they describe, you won't necessarily need to change document numbers when your revisions affect part interchangeability. You can minimize the document references that must be manually updated, and change forms that must be processed, simply by assigning document numbers without regard to how the related parts are identified. As always, let the computer do the tedious work so you can focus on the interesting stuff! Contact us if you'd like to discuss how the general concepts in this note may be applied to your situation. We'd be happy to address other PLM software good practices — ask us!